Los Angeles, CA. November 28th, 2018. “Job Interview – Visual Hire” is a unique APP that helps discover and understand Emotions from a Candidate. Visual SciTech has developed a unique “Human Analytics – State of the Art Visual intelligence APP” in the Personnel Selection & Hiring Process, that extracts microexpressions from a Video every four hundreds of a second supported by Big Data technology. 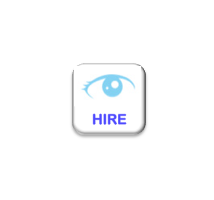 How “Job Interview – Visual Hire” works? First of all, Diagnose a “Candidate” self-video recording Job Interview, the first question is soft, to define a baseline and the remaining seven are related to each of the three hiring categories (Sales, Admin/Finance & High-Risk Jobs). The Interpretation module allows the “Evaluator” to score the interview and gives valuable information related to 6 possible Emotions (Joy, Surprise, Sadness, Anger, Disgust & Fear) generated for each question response, plus “Blink and Attention” graphs to analyze the “Best Candidate” for a position. All documented on video files for each question. While you Evaluate and score if a candidate is Lying by reviewing detail Checkpoints related to Face & Eye expressions, Verbal Responses, Body Language by applying professional Interrogation Techniques. Trust and support your Instincts! Your gut feeling is saying “This is not quite right, somehow,” it’s not quite right. Your sensors are signaling! Careful Analysis of Emotions graphs in the APP show real evidence of a personal reaction to a question as well as the response, those elements will help you in the “Best Candidate” index decision process. “Personnel Selection & Hiring” information and case are available and structured using Visual SciTech philosophy to “Act (Diagnose), Think (Interpret) and Solve (Result)” situations and make the right hiring decisions! Finally, job candidates can rehearse job interviews using the “Visual Job Hire” APP. A great way to improve performance is by understanding what are you projecting! Apple iOS version – Comming soon.